Deadline: Applications for Rhodes Scholarships open during the spring and summer of the preceding year. Deadline varies per country but is around July-October of the preceding year you wish to study. Students from Australia, Bermuda, Canada, China, Germany, Hong Kong, India, Israel, Jamaica & the Commonwealth Caribbean, Kenya, Malaysia, New Zealand, Pakistan, Southern Africa (including South Africa, Botswana, Lesotho, Malawi, Namibia and Swaziland), Syria, Jordan, Lebanon and Palestine (SJLP), United Arab Emirates, United Kingdom (UK), United States, West Africa (new from 2018), Zambia and Zimbabwe. 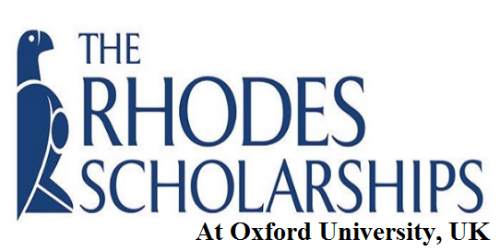 All the information about Rhodes Scholarships at Oxford University for International Students has been delivered nicely; interested and talented students who are eager to pursue their Free Tuition/Scholarships/Study in United Kingdom can apply now.